What is gigabit broadband used for? Chances are your current broadband is either ADSL or fibre optic from the BT or Virgin Media networks. This means it is going to provide an average download rate of around 10Mb, 65Mb or 360Mb. Is that fast enough for you? Many of us would jump on the opportunity to sign up to a quicker service, and in the near future we may well have the option to enjoy an incredible boost in performance thanks to the deployment of ultrafast gigabit broadband connections. If you’re after the fastest broadband possible then a full fibre gigabit broadband service is the way to go. It provides an enormous amount of bandwidth that’s enough to handle anything a home user could throw at it, as well as capably serving the needs of small and medium businesses. Gigabit broadband is an internet connection that offers a speed of 1 gigabit per second (1Gb) or more. The quickest Virgin Media connection is currently 362Mb, so 1Gb internet is several times faster again. With a speed of 1Gb you could potentially download a 5GB file in just 40 seconds. At present these incredible speeds are made possible by fibre optic cables (in the future we may see gigabit mobile networks, but that’s a way off yet). But this is a little different to the fibre services you may already have. 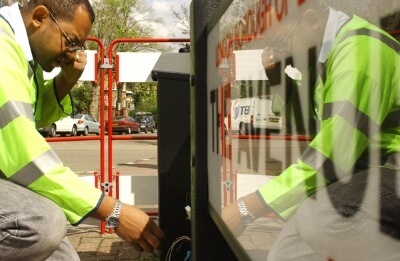 Fibre broadband provided by home ISPs such as BT, Sky, TalkTalk and Plusnet use Fibre To The Cabinet (FTTC) technology, which means that the fibre connection runs to roadside cabinets but the final step into homes uses the regular telephone line. (Virgin Media uses an analogous technology called Hybrid Fibre Coaxial which runs on fibre to the cabinet, but then relies on coaxial cable instead of telephone lines to reach into homes). In order to get gigabit speeds a Fibre To The Premises (FTTP, or FTTH - Fibre To The Hremises) connection is needed, which has fibre lines running all the way into the property. A ‘full fibre’ solution is capable of much quicker speeds when it’s not hindered by the old telephone network. 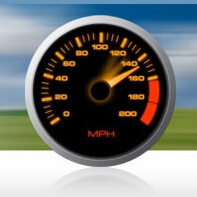 The same thing as any other broadband service, only faster! Not many of us could claim we really need gigabit broadband, but the additional speed is definitely useful for some situations. Obviously, any really demanding tasks like transferring large files or streaming HD video are painless with gigabit internet. Big files can download or upload in moments so it would certainly be a lot less hassle to transfer lots of data. If your connection is shared between many people or you’ve got a large number of net-connected devices in your home then a gigabit service should mean there’ll always be more than enough bandwidth for everyone and everything, even if you’re all streaming HD video and downloading huge files at the same time. For the more technically inclined it’s also an exciting prospect for running servers from home, such as multiplayer gaming, media streaming or web sites (though if this is what you’re planning check the ISPs terms and conditions to ensure such activities are permitted). While gigabit broadband might be overkill for a typical home user there are plenty of businesses that would be well served by such a speedy connection, not just for file transfers but VOIP and video calls and handling the needs of multiple users. At present internet access for small and medium businesses may be limited to consumer level services using ADSL or fibre, which can be a hindrance with even just a few employees. Upgrading to a quicker connection is often possible but can be very expensive, because if the infrastructure isn’t in place you’ll have to foot the bill for installation. You could theoretically get a gigabit leased line right now, but the cost of such an endeavour is high. Affordable and widespread gigabit broadband would allow small businesses and sole traders to take advantage of the faster speeds. So you fancy getting your home hooked up with gigabit broadband? Unfortunately the situation right now is that while there are some ISPs offering gigabit in the UK, they operate in very limited areas. Though if you’re lucky enough to be within the coverage zones you may be pleasantly surprised by the relatively affordable cost. 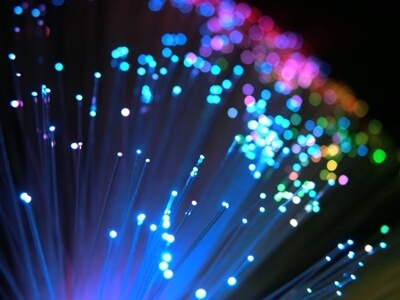 Hyperoptic is a pure fibre provider that focuses on new blocks of flats. They started out providing internet in London but are expanding to Sheffield, Newcastle, Birmingham and Nottingham. At £60 per month for unlimited 1Gb fibre it’s a very affordable option if you can get it. Hyperoptic also offers 100Mb and 20Mb broadband packages, and there’s a standard £40 connection fee on all tiers. Gigler is another gigabit fibre service, though presently they only operate in a small area of Bournemouth. Their regular price is a little lower at £50 per month, however unlike Hyperoptic it’s not unlimited, though the 1TB usage cap is very high. TalkTalk has launched its own gigabit broadband service, dubbed UFO - ultrafibreoptic. This is only available in parts of York right now, however if you can get this service its very low cost is extremely attractive. It comes at the same price as their regular home broadband, making it by far the cheapest ultrafast broadband in the UK. But gigabit broadband isn’t just for big towns and cities. Around Hull, KC Communications has deployed gigabit connections to rural communities which previously had very poor services. Another effort at improving rural connectivity is Gigaclear, which allows remote villages to get hooked up to gigabit fibre at a relatively affordable cost. In the near future we’re likely to see a much wider choice when it comes to gigabit broadband, and it might not be too long before there are competing networks. Virgin Media is trialing gigabit and BT is slowly rolling out FTTP across the UK, though speeds are presently limited to 330Mb. For now though the best solution for the vast majority of is going to be the fibre currently offered by either a BT network provider or Virgin Media.